We are excited to host Trishala Bhansali of Lekha, a New Orleans based womenswear line, at Celadon on the evening of Thursday, April 11th (4:30pm-7:00pm)! A New Orleans native, Bhansali spent her school months in the south and her summers in her parents’ native India, roaming the marketplaces and fabric stalls of Mumbai. She began making her own clothes when she was 12 and has always been inspired by both India and New Orleans, which weave their way into the Lekha line through lightweight, gauzy fabrics, breezy muslins and linens, traditional embroidery and simple, easy-to-wear styles. 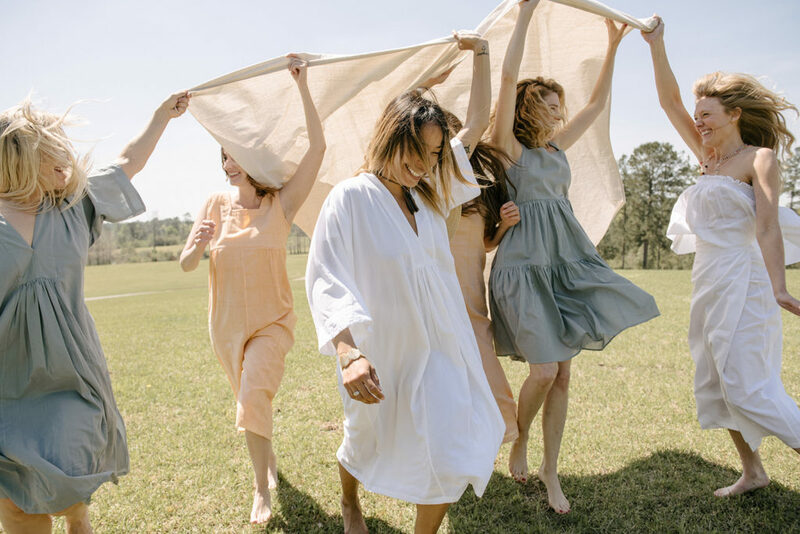 Lekha is a clothing and lifestyle line that partners with artisans in India to design and produce an evolving collection of beautiful, handmade womenswear. The company employs women in communities throughout India trained in traditional craft techniques such as phulkari embroidery, blockprinting, zari, and brocade. WHEN: Thursday, April 11 from 4:30 to 7 p.m. Goods will also be available Friday, April 12 and Saturday, April 13 for those unable to make Thursday’s event.